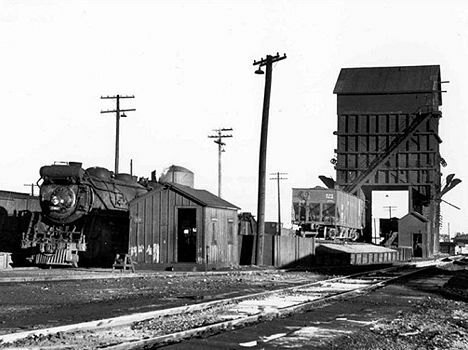 This is the wood coal dock at the Michigan Central Railroad's Wenona Yard in North Bay City. The Mikado 2057 (an H7a) is nearby being services. The coal dock was located in the centr of two fueling tracks and coal cars were shoved into the center for loading and hoisting to the top of the bins inside.